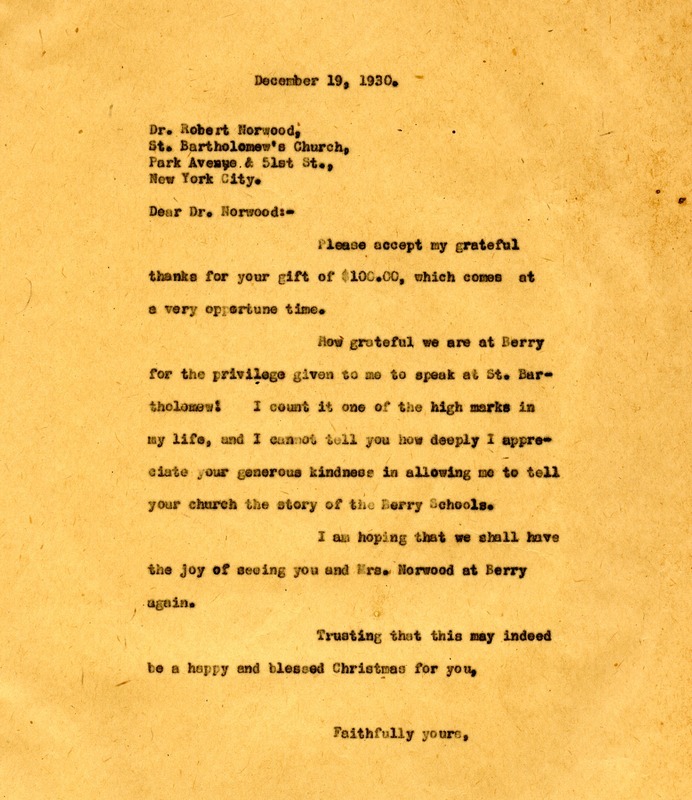 Letter from Martha Berry to Robert Norwood offering thanks for his $100. She also thanks Mr. Norwood for letting her speak at St. Bartholomew. Miss Martha Berry, “Letter to Dr. Robert Norwood from Martha Berry.” Martha Berry Digital Archive. Eds. Schlitz, Stephanie A., Bailey Brady, Chelsea Risley, et al. Mount Berry: Berry College, 2014. accessed April 19, 2019, https://mbda.berry.edu/items/show/13570.